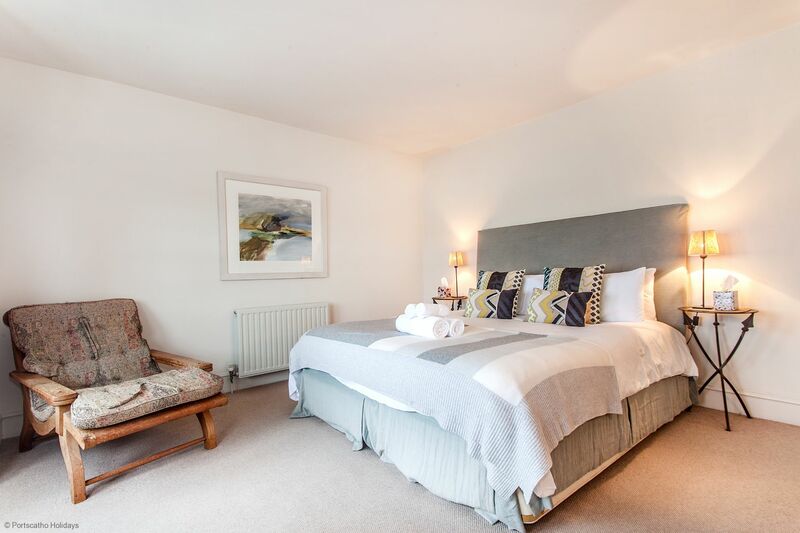 Brooks Cottage is in a superb position with great sea views, close to the world renowned Hotel Tresanton, and only a couple of minutes walk from the centre of the village with its wide range of facilities. There are sea views from almost all rooms to the St Anthony peninsula, boat moorings, the Lizard peninsula and St Mawes castle. Steps (steep), from the sea wall opposite, give access to the popular Tavern Beach. The front door gives access to the hall and the ground floor, which is floored with oak. The large kitchen and diner is very well appointed with granite work surfaces, AGA cooker, electric oven, small ceramic hob, dish washer, fridge, freezer, music centre, sea views and french doors to the rear courtyard and good sized oak dining table. The utility room off the kitchen houses the washing machine and dryer, and also leads out to the rear courtyard. The lounge has a nice range of comfortable settees, TV, DVD, radio and sea views. Wifi is available. There is a small downstairs WC with wash hand basin. 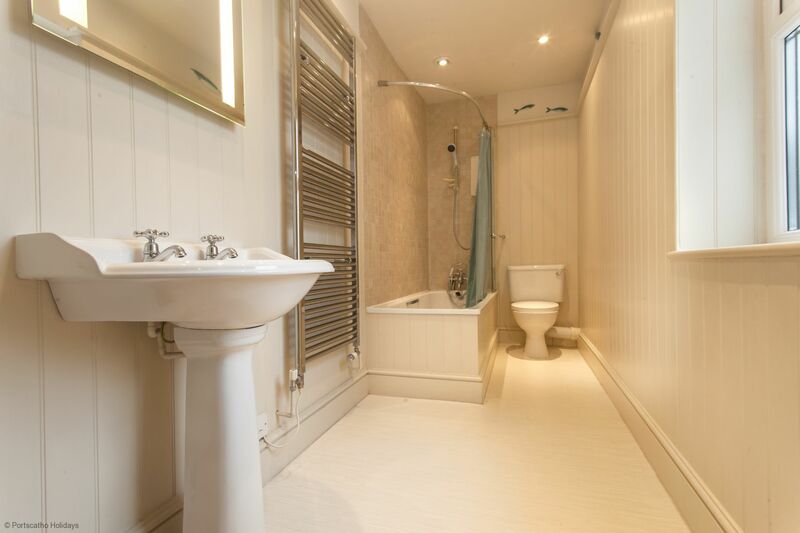 Main ensuite bedroom with 6ft double bed, shower, WC , wash hand basin and lovely sea views. Two twin bedrooms, one with good sea views. 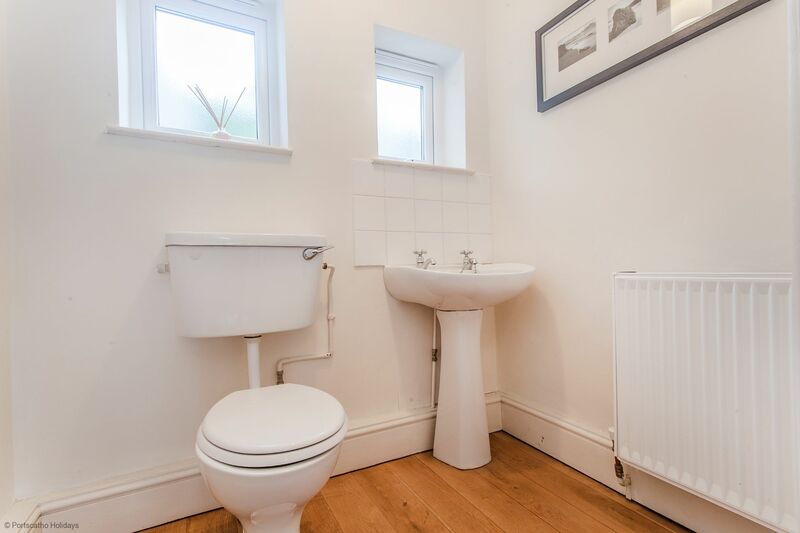 This property has a lovely, light, contemporary feel, and the benefit of full oil fired central heating. Parking is available in the village car parks about three minutes walk away. Brooks Cottage - 174848 Brooks Cottage is in a superb position with great sea views. With 6 beds. Is situated next to St Mawes centre. 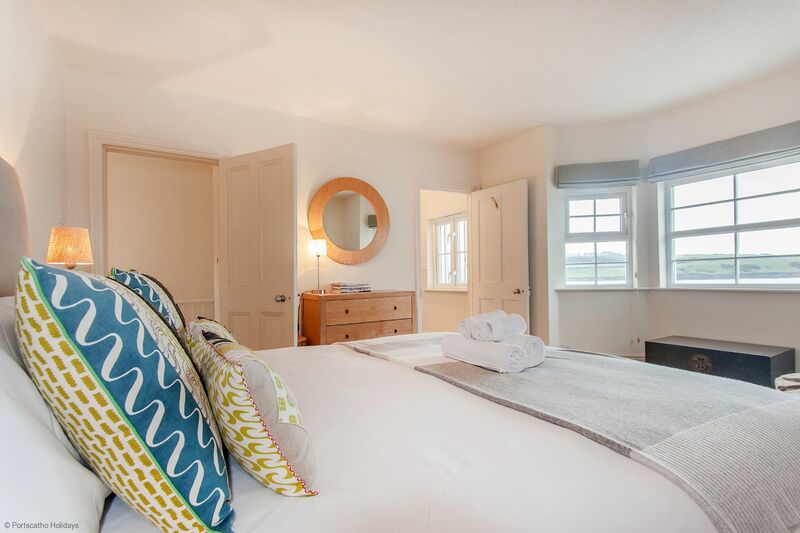 "We stayed at Brooks Cottage last year and absolutely fell in love with it so booked it straight away back then for this October half term but I was a little disappointed at the lack of cleanliness and things weren't quite as good as last time. It was as if it hadn't been looked after for a while and a number of things weren't working properly. I don't think anyone has stayed in it for a while as it wasn't very clean. Cobwebs everywhere and floor dirty. My feet were filthy from walking around bare foot. I found on arrival a dirty plastic cup sitting on the windowsill in the downstairs toilet. The shower in the en suite didn't sit in it's holder so showering one handed was interesting!! The Aga wasn't working at all so someone had to come out and fix it. It needed a service! The tumble drier wasn't working properly. Someone else's dirty empty bottles were outside in the courtyard. The letterbox was broken and the broken part was just left on the windowsill. Didn't want them thinking we had done it so I reported all of this to Portscatho Holidays. Myself and my family (Lawrence's and Parker's) book through Portscatho Holidays every year as St Mawes is always somewhere we've stayed since being small children so it has special meaning to us. Disappointed this time with Brooks Cottage. It was as if it was unloved. I know it's on the market but that should not affect us in any way at this moment in time. It's irrelevant to our booking and the state of it reflects badly on Portscatho Holidays I'm sorry to say. It hasn't put me off using them but it was just a shame that's all. " 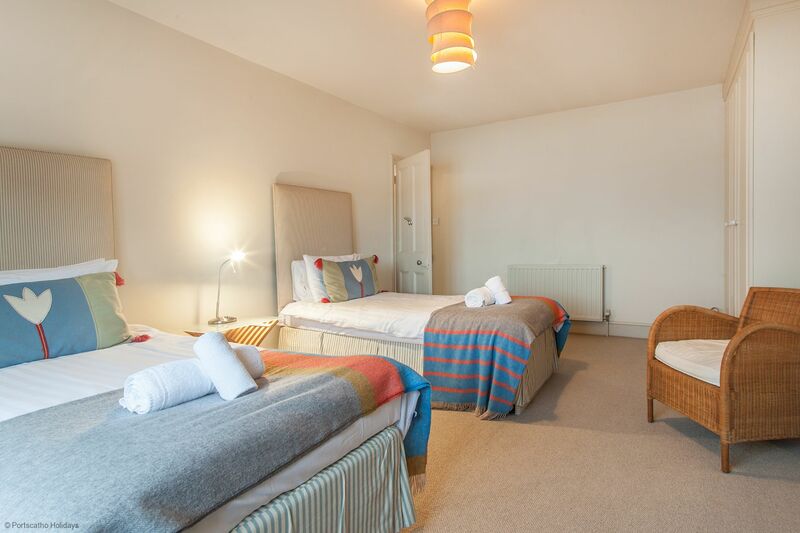 "This was our second visit to Brooks Cottage and cannot wait to rebook again. 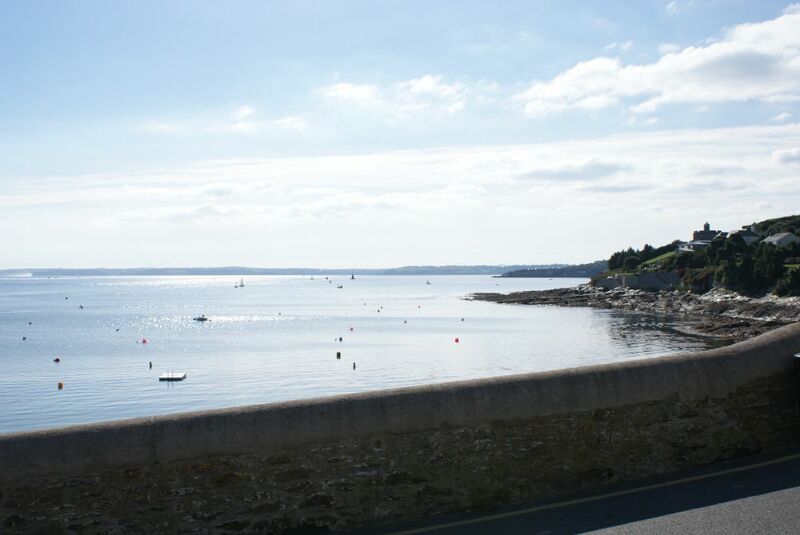 St Mawes is the quintessential Cornish village and Brooks is in the perfect spot to enjoy it. Stunning sea views, a very short walk (across the road) to the steps down to the beach. Great facilities (internet fast enough to keep 4 teenagers happy). Easy access to all the restaurants and pubs. " "A very nice property but most of the window blinds and carpets needed replacing along with the settee in the lounge. Beautiful location and amply provided with crockery, utensils and everything else. 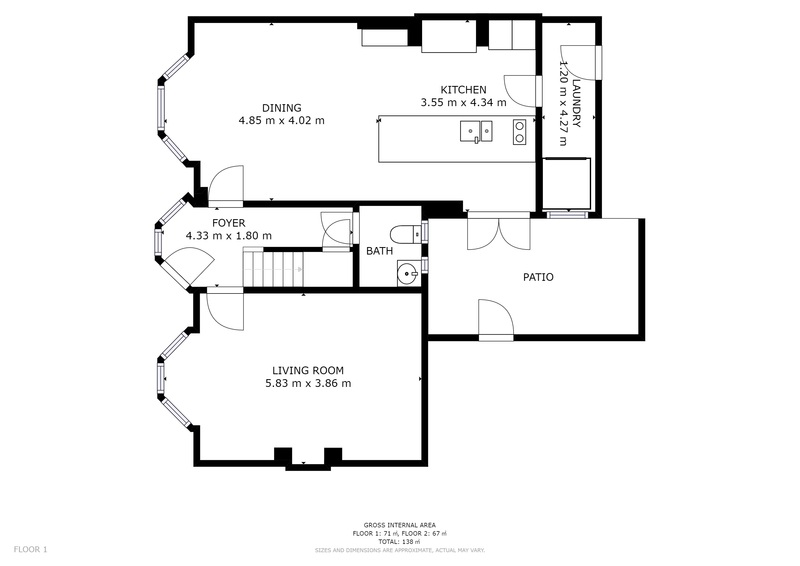 It is spacious and has lots of storage making it a very comfortable property to stay in. Bedding and towels were all good quality and 2 bathrooms and a downstairs toilet is always good. " 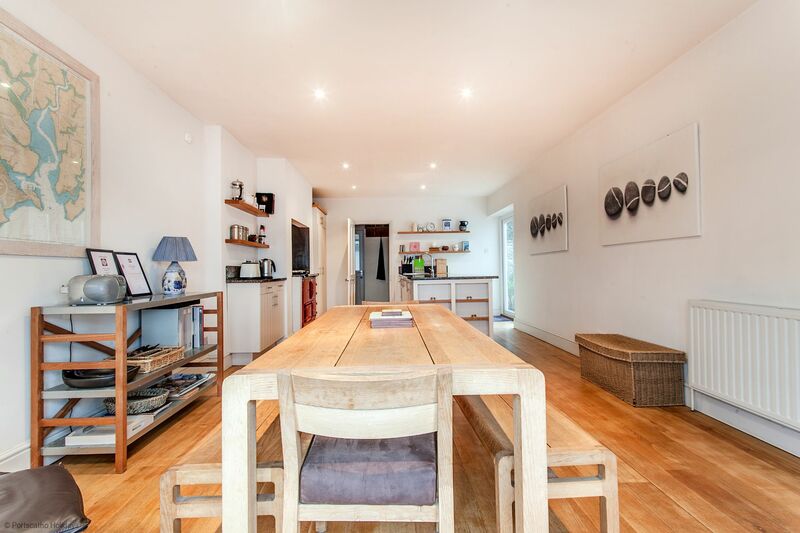 Perfectly placed house to enjoy beautiful St Mawes. 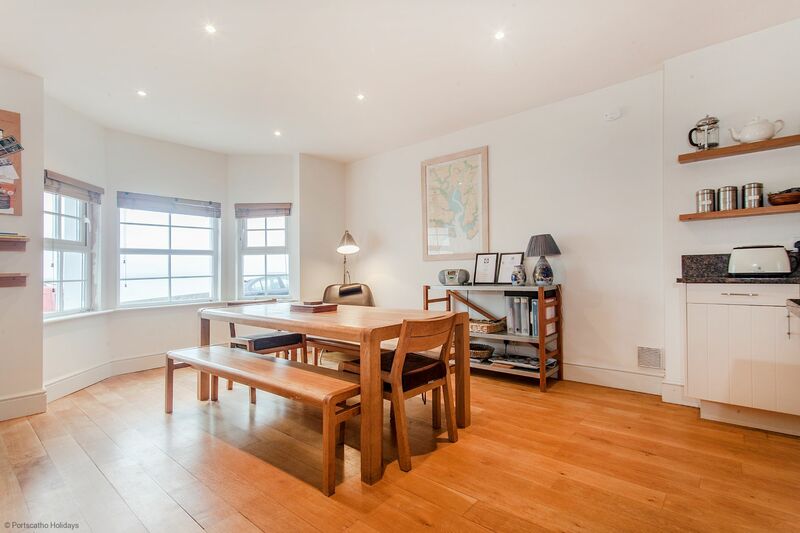 "Brooks is a large , well equipped house with magnificent sea views from both the ground floor and the front bedrooms. 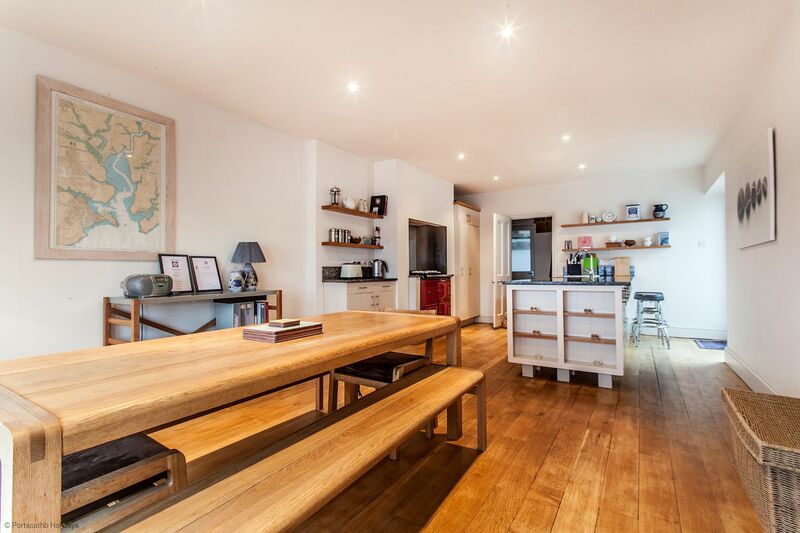 The kitchen is large and generally up to standard apart from a rather tired cooker! The bedrooms are large and the bathrooms are clean and suitable for family use. This was our second stay in the property and if it were not on the market we would have booked again for next year. 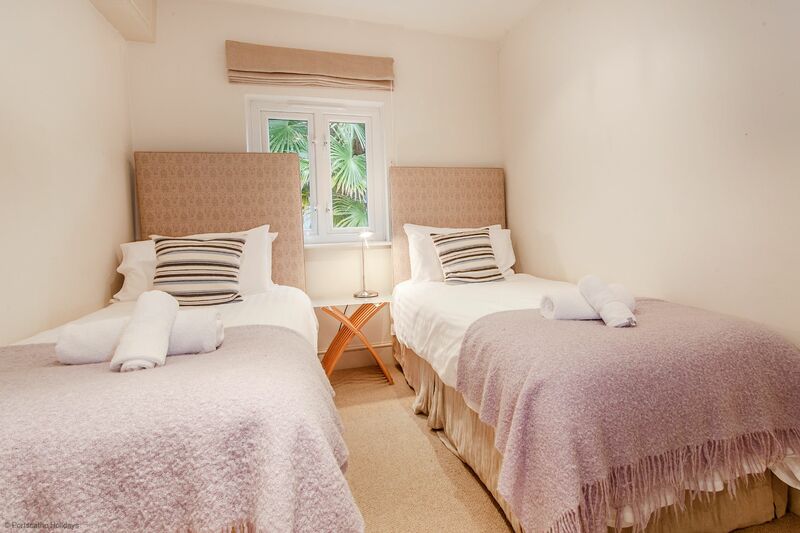 We found the accomodation comfortable and suitable for a beach holiday with children." "Dishwasher was a problem from the outset - reported to agent Waste Disposal didn't work when we arrived - reported to agent Shower was broken on arrival - reported to agent, a new shower was fitted mid way through our stay "
Thank you for your feedback on Brooks. Unfortunately the en suite shower was broken on changeover day and we had to order a new one which we changed as soon as it arrived. The dishwasher runners were also ordered. Having spoken to you I am glad that you were able to enjoy your holiday here is St Mawes. "This is the second year running we have taken this cottage as it is a real gem! Fantastic location, views and very well appointed." "My family and I stayed in Brooks Cottage in St Mawes for 2 weeks in June 2018. We were greeted with a small welcome pack (tea, coffee, biscuits) and a bottle of Prosecco and immediately felt at home :). It is in a perfect location close to the village centre and harbour in one direction and the castle and Tresanton hotel in the other. The views from the front of the house are wonderful and we spent many evenings drinking a V&T whilst standing at the harbour wall, looking at the sea as it changed colour and the tide came in an out. We had a local heron who came to visit in the evenings and catch fish for his supper which was an added bonus. 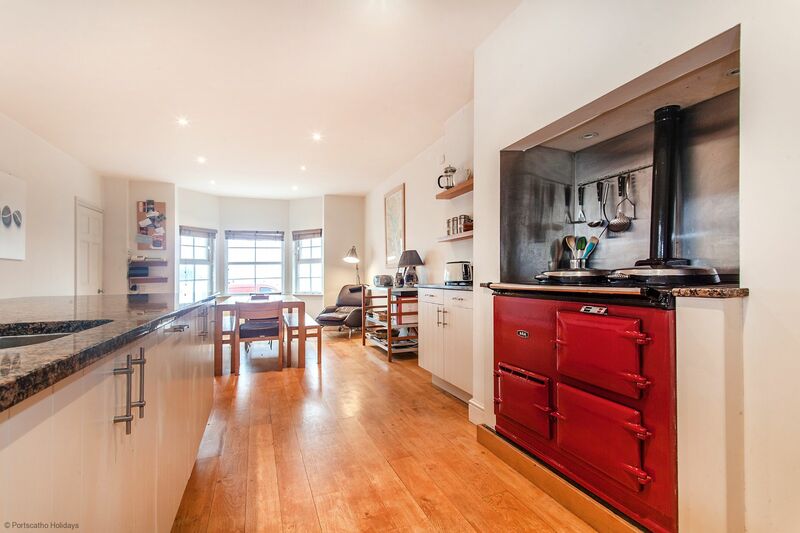 The house has a large kitchen with an Aga so is warm throughout the year. There is also a small 2 ring cooker if needed and a dishwasher. The table easily seats 6-8 people and there is plenty of crockery, pans, dishes and cutlery. There is also a large living room with comfy sofas and a TV which had some standard stations, iPlayer and Netflix (account needed by user). The wifi worked well throughout the house. 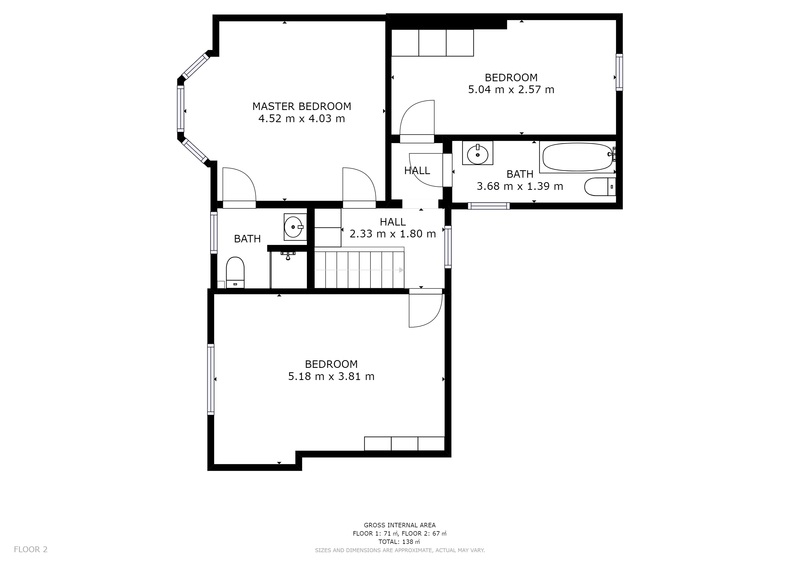 There are three bedrooms; one large king sized bed at the front with an ensuite shower room and a wardrobe outside the room; one large twin at the front and smaller twin at the back. The beds are comfortable and the rooms are nicely furnished. 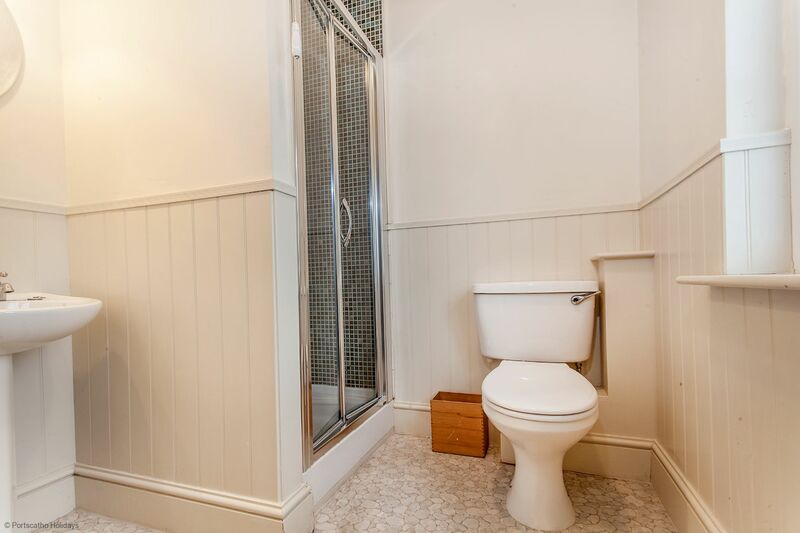 There is a family bathroom and a separate loo downstairs which was useful. There is a utility room with the freezer, washing machine, tumble dryer and a drying rack in the ceiling. There is a small back yard with a table and a pretty garden with very steep steps accessed from the kitchen (not suitable for small children). It would be a nicer outside space if it was smartened up. As we were there for two weeks, the house was cleaned and the sheets/towels changed by a lovely husband & wife team (on the first Friday). Portscatho Holidays also provided a welcome service to collect and return the large rubbish and recycling bins in line with the weekly schedule. Car parking is in the main car park at '30 per week, although you can unload and park for the stated hours (evening/overnight) outside the house. 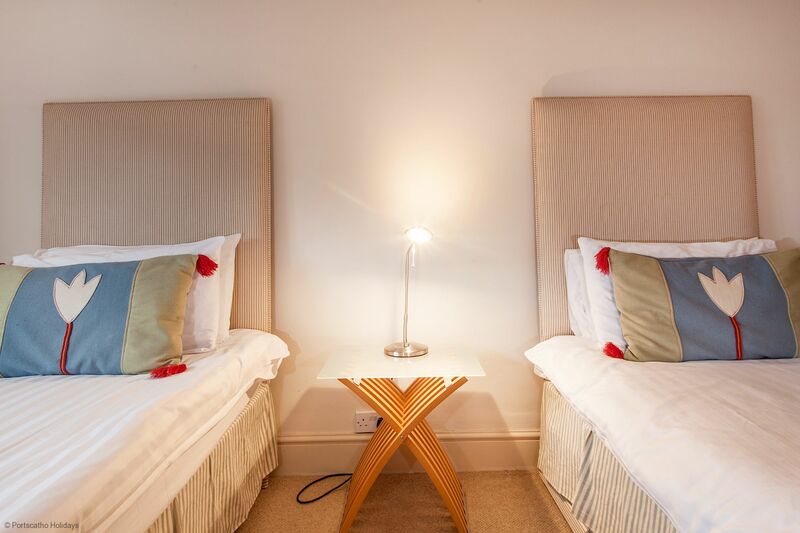 We liked the house very much and would recommend it to couples, friends or family."